The fascinating thing about La Grenouille is its location at the southern edge of the Cevennes. Still not right in the mountains, but already some 350 m above sea level. Here we enjoy a Mediterranean climate (the Mediterranean Sea near Montpellier is approx 40 miles) without the summer heat unbearable at sea. The dry climate with low cloud cover makes it cool for a pleasant night. As soon as the sun is over the mountains, you can feel its power even in winter. In winter, it is clear and dry. At our house is rarely snow, but 25 km away on the 1567 m high Mount Aigoual is the snow line from December to March at about 1000 m. At the skiing region there is allways snow in winter. In the morning a round of cross-country or downhill skiing and in the afternoon a stroll on the beach near Montpellier is a popular daily program in the winter. Where the Cevennes are today was an inland sea millions of years ago. When, for any reason whatever, the sea was gone, the rivers began to dig deep valleys in the former seabed. 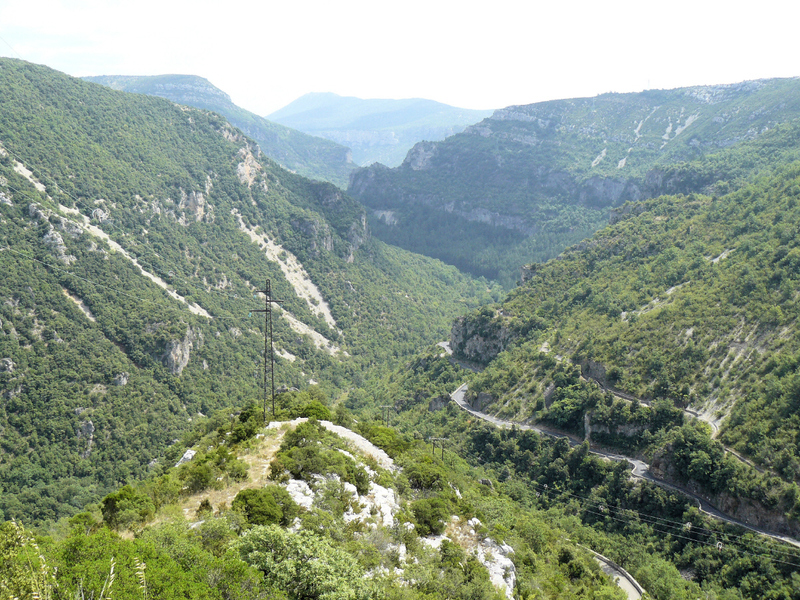 The result is the present picture of the Cevennes, narrow, deep valleys in accordance with the course of the rivers and in between the rivers high plateaus, which are mentioned here Causse. 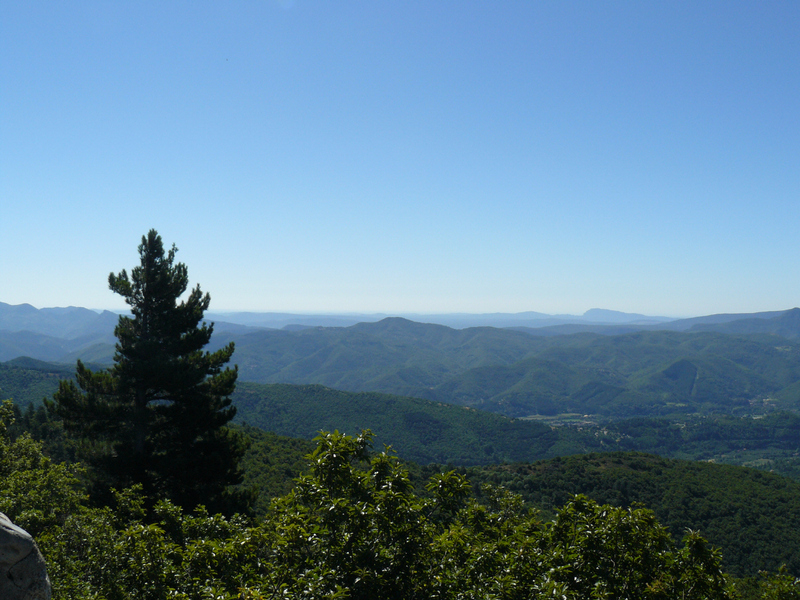 The highest mountains of the Cevennes is the Mont Lozère (1699 m) and our local mountain, the Mont Aigoual (1567m). To the south the narrow valley open up to flatter hills, and then moves into the typical southern French coastline with long sandy beaches. One of the best-known representatives of these coastal landscapes is the Camargue (about 60 miles away from us). Due to the Mediterranean climate, the vegetation consists mainly of evergreen oak trees, small pine or cedar forests and chestnut trees which was originally cultivated as a cereal substitute. Only in the high altitudes and in the northern Cevennes are also increasingly beech and spruce forests. You will find more about the sights and scenery here. 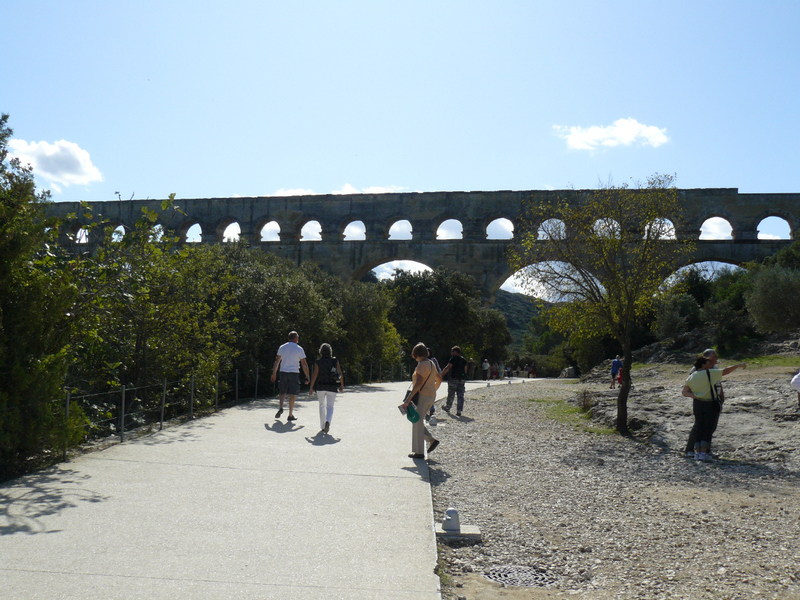 The south of France has been inhabited for over 5000 years. Many of the buildings that have arisen here since Roman times, can be seen in more or less well preserved condition. More recently, the French have to remember this cultural heritage and restored many of these buildings. It is found within a radius of 150 km around our house, therefore a variety of its venerable buildings from Roman times to modern times.